Maintaining a blog takes stamina: of the more than 100 million blogs surveyed by the search engine Technorati in 2008, fewer than 10 percent had been updated in the previous four months. 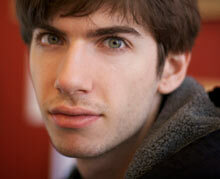 David Karp thought that simplifying posting would stop users from falling away, so he created Tumblr, a streamlined blog platform. The result? Of the site's six and a half million registered users, 85 percent post more than 20 times a month on average. Within a few minutes of signing up with Tumblr, users can submit their first post by browser, e-mail, IM, or even voice. And with large buttons dedicated to posting music, video, and photos, it encourages users to go beyond the blocks of text that are the mainstay of typical blogging and social websites. Social-networking features such as following, favoriting, reblogging, and syndication offer ways to give users the positive feedback that keeps them contributing. Karp launched Tumblr in early 2007. Two weeks later, the site had 75,000 registered users. So far, it has taken in about $10 million in venture funding, but it doesn't need much. "It's the most capital-efficient company I'm familiar with," says Bijan Sabet of Spark Capital. is that the company is motivated to keep improving the software and the user experience. That's the hard part, especially for young entrepreneurs.